We’re living, living precariously, sometimes, hopelessly too! 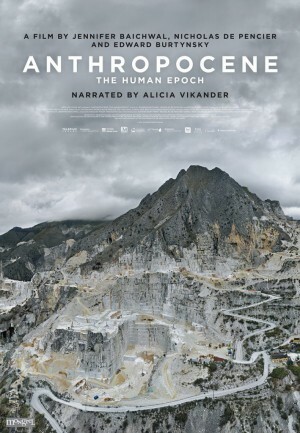 The stunning images and shocking ironies in connection with human inflicted realities make this documentary film, Anthropocene: The Human Epoch, a memorable one. A beautiful film with unbelievable examples of human greed without any concerns of life the posterity is going to face. The overweening and undying ambitions lead the humanity to go to any extent to gain what they want. It’s beyond doubt that human activity shapes up our planet more than any other natural forces, and what we sow now would turn into a whirlwind for the future generations to reap. Anthropocene shows different parts of the world and the calamities we bring forth. The rectangular ponds of foul yellow water and its evaporation while making lithium for powering electric car batteries is a burning issue in the Atacama Deserts of Chile. The calamities created by the potash mining and the resultant manufacturing of fertilizers in Russia’s Ural Mountains are other grave threats to the future. The massive burning of elephant tusks in Kenya was due to the large-scale poaching in the forest areas. Russia and Germany show the transformation of terrains into industrial wastelands. Colossal machines are extracting various things in different parts of the world. Since the unique qualities of marbles make it a popular and expensive stone there is slaughter cutting going on in Italy. These are a few of the threats discussed in this movie.